To shoot some of the most colourful birds, for the production ‘Planet Parrot’ Producer Matt Hamilton and his team went to a few quite unlikely places – amongst them, the frozen city of Stuttgart. Filming wildlife usually means being out in the wilderness, many miles away from towns and cities. However, working on ‘Planet Parrot’ has meant shooting in some surprising locations, perhaps the most unusual of which was on our first trip to Stuttgart. 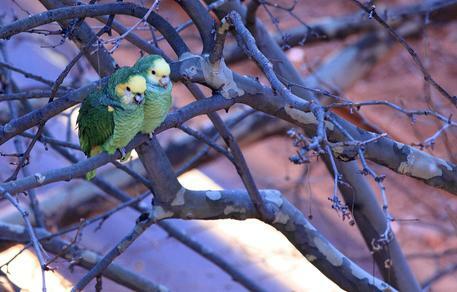 In February, Susan Gibson and I visited the German city of Stuttgart to film the city’s wild population of yellow-headed Amazons, which roost in a row of trees on a busy central street. The tall buildings there not only provide shelter for the parrots, but also a vantage point from which to film. Using rooftops rather than platforms is one advantage of filming in the city. Another is using Google Street View to recce locations, something that is not possible in the wild. Employing this technique, I discovered one of the buildings at the roost site was a doctor’s surgery. I got in touch with them to see if they would allow us access to the roof. Two weeks later, Susan and I found ourselves in a very unique situation: we were standing on the roof of a doctor’s surgery in Stuttgart filming parrots from the sub-tropical jungles of Mexico eating snow. During the shoot, the temperature reached a bone chilling -7°C. 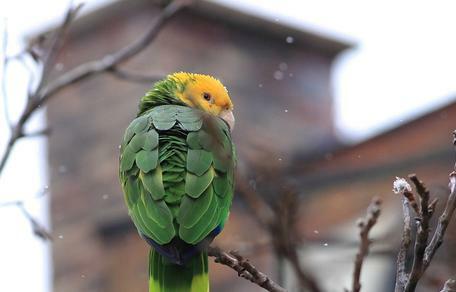 It is a wonder the parrots can survive such freezing temperatures. It was a struggle for us; though we quickly learnt the best thing about filming in cities is a good meal, hot shower and comfy bed at the end of a day’s work. 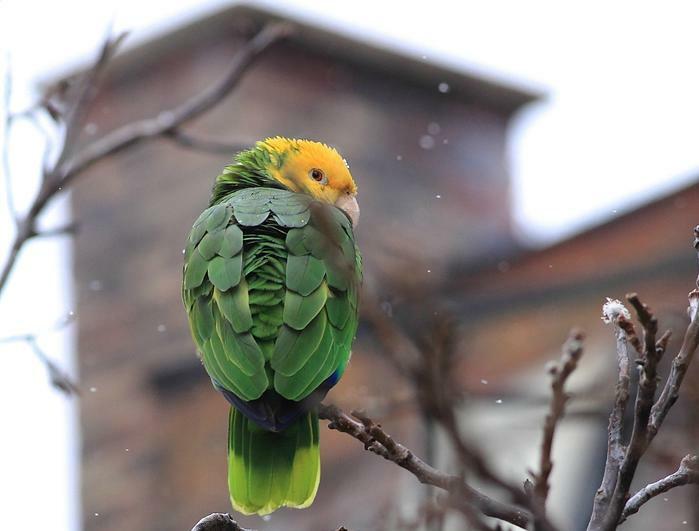 A yellow-headed Amazon in snowy central Stuttgart. 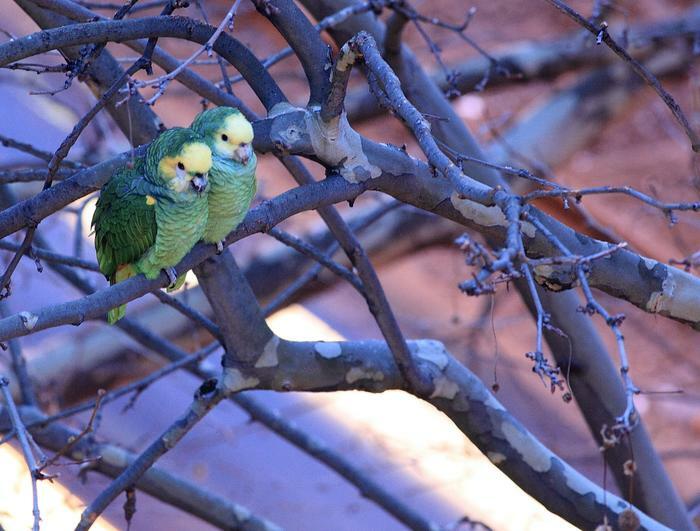 A pair of yellow-headed Amazons roosting above the neon lights of a busy Stuttgart street. For a first impression of the film, feel free to follow this link leading you to a trailer covering the yellow-headed Amazons as well as many other kinds of these special birds.